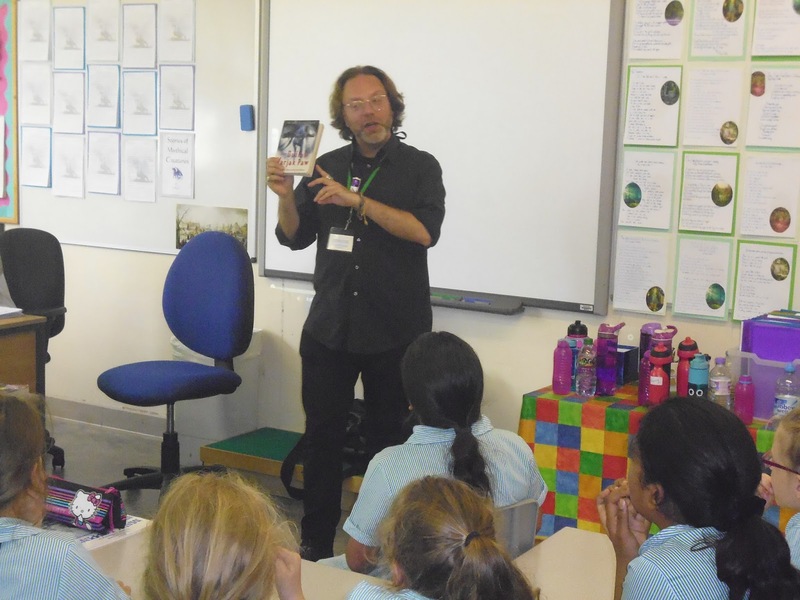 Last week, I had the great pleasure of visiting Haberdashers' School For Girls as part of their Literature Festival. Other speakers at the Festival included the brilliant authors Linda Newbery, Sita Brahmachari and Meg Rosoff, so it was an honour to be invited! I'd like to say a very big thank you to everyone I met there for giving me such a wonderful welcome. I talked to Years 4 and 5 about writing and books, and discovered that they were fantastic readers. It was amazing for me to meet so many fans of both Varjak Paw and Phoenix, and to hear so many inspiring stories! I answered lots of terrific questions on the day, but we didn't have quite enough time to answer them all. So if anyone from Haberdashers' would like to ask another question, or would like to say anything about the visit or about books and writing, just leave me a comment below!